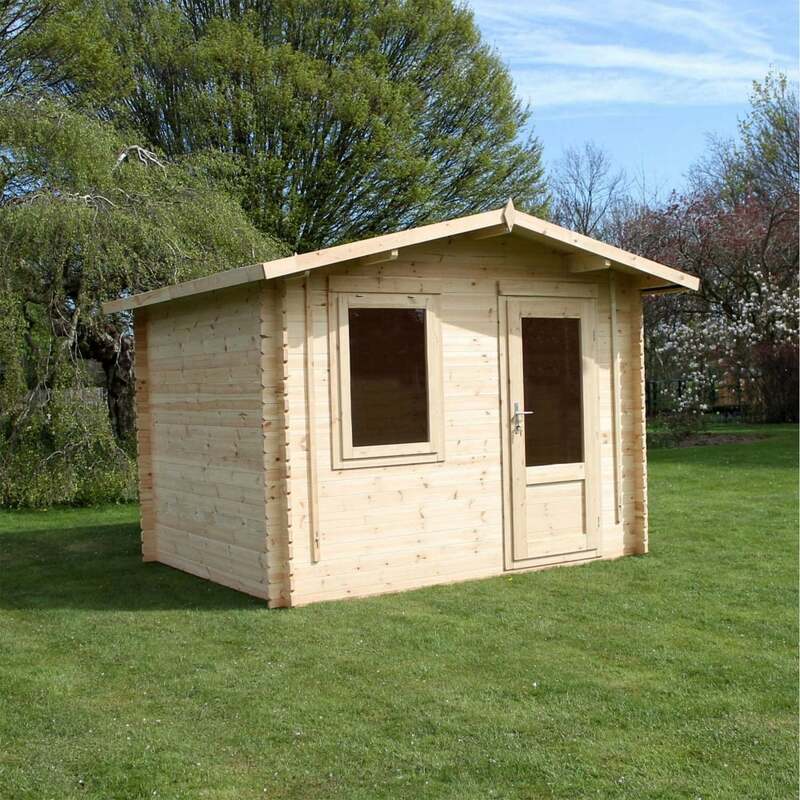 Mercia 3.3m x 2.6m Escape Log Cabin: The Mercia 3.0m x 2.6m Escape Log Cabin is ideal for smaller gardens without compromising on quality, perfect for relaxing and enjoying the views of your garden. The Escape Log Cabin features a durable single door with a lock and key to keep your items safe and an opening safety glass window available in single or double glaze to allow plenty of ventilation and natural light. The 3.0m x 2.6m log cabin features interlocking wall panels with three log thickness options, 19mm tongue and groove timber is also used for the roof and floor to create a solid building. The Escape garden building features a traditional apex style roof to allow water to runoff the building, the included green roof felt material also keeps the interior waterproof and rot free.